A happy mix of designers, bureaucrats and sponsors joined the opening of the three-day event Rio + Design 10 organized by the development office within the Government of the State of Rio de Janeiro. Their dynamic undersecretary of development, Dulce Ângela Procópio de Carvalho and her team have worked very hard to realize this event, which they hope will develop and grow in size and importance with time. 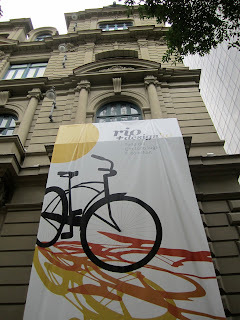 Some key designers, offices, galleries and stores around in Rio de Janeiro are taking part and opening their doors. 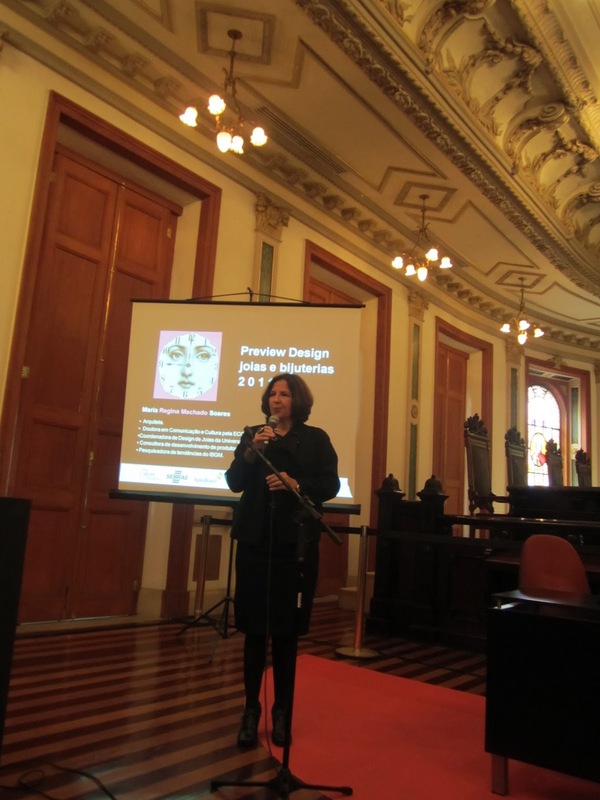 A special designguide for Rio was launched and a small exhibition inside the government building where the conference took place. This year the theme was DESIGN PARA TODOS - Design for all - a suitable title for their choice to invite someone from Sweden. I was their "convidada internacional" - their international guest, and their hospitality has been amazing. The event was a wonderful brazilian blend of offical formality and total informality. I gave a short speech in my rusty portuguese about Swedish design and possibilities of exchange with Brazil, and took part in a round table discussion. Actually it was not really a discussion, we all gave short speeches, with different angles on design. The discussions took place later on an individual basis during the luncheon, exhibition etc. Also here the buzz words are INNOVATION and SUSTAINABILITY. Seems like the importance of the design process is slowly entering into other areas as well. Suddenly I discovered my old editor for FORM, Lotta Jonsson in an interview from the Brazilian exhibition in Milan during the big furniture fair last year. Hi Lata!